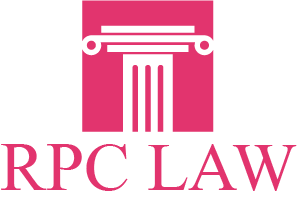 At RPC Law, our expert team of lawyers, paralegals, and clerks is dedicated to helping victims of personal injury. We have the experience required that ensures our clients get the maximum compensation for their injuries. By strictly specializing in personal injury we can dedicate all available resources to ensuring success in one specific area of law. Our expert lawyers have over 85 years of combined court room experience. This means that we will never back away from a trial battle, nor will we be intimidated by an aggressive opposing lawyer. Our legal team focuses on cases involving Motor Vehicle Accidents, Public Transportation Accidents, Motorcycle Accidents, Pedestrian Accidents, Slip and Fall accidents, Product Liability, Dog Bites and Long Term Disability in Vaughan, Richmond Hill & Georgetown . We are considered experts when it comes to spinal cord and brain injuries, orthopaedic injuries, chronic pain, and injuries of psychological nature. RPC Law is considered to be one of the top personal injury law firms in the province, and we are one of the most recommended. Victims of personal injury can often be unsure of their rights. At times, their injuries may prevent them from going to a law firm for a consultation. RPC Law makes both home and hospital visits, ensuring that the rights of our clients are protected right away. If you were injured in Ontario, it is important to speak to a personal injury lawyer before speaking to any insurance company representatives or any other agents of the other party. If you or a loved one have been injured, you are entitled to compensation. Contact the experts at RPC Law in Georgetown, Richmond Hill or Vaughan now for your free consultation and protect your rights. Our experts at RPC Law have fought for injury victims from all over the province, and have dedicated themselves to obtaining the best possible results for our clients and their families.